Check Anna University Results 2019 May June updates with www.rejinpaul.com. 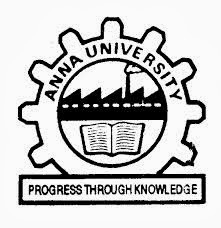 Anna University results will be announced @ coe1.annauniv.edu and also in mirror server - coe2.annauniv.edu. Students of UG PG courses from affiliated Engineering Colleges can Check Anna University results 2019 in this page. Anna University results May June 2019 Updates - Check with rejinpaul.com May June 2019 Exam results date will be announced in Coe portal. Students of Anna University UG PG can have a look at this page to get clear information regarding Anna University May June 2019 result date. Students can use our page to download the results declared by university. Generally, University will declare the results in 2 to 3 mirror servers to reduce students traffic. This time also, we expect that Nov/Dec 2018 Exams results will be declared in coe1 portal, coe2 and aucoe.annauniv.edu as well as in Anna University result app also. Hence, students can also download the result app to check Anna University results 2018. So Students can follow our Website and get Benefited very well. Rejinpaul.com Provides the Results Publishing dates correctly. And we are clear that we don't provide any rumours in this case. Our focus is to help the Students to give informative content to the Students and we follow that in all cases. Anna University after publishing the Semester Results give another chance for the Students to Apply for the Revaluation and Students can apply for the Same if they are not satisfied with their grades/ marks which they got. So here you can have a look at the new revaluation Procedure announced by Anna University. Anna University will announce Revaluation results for Nov Dec 2018 Exam 2nd 4th 6th 8th Semester. Student can get the Nov/Dec 2018 Revaluation result date with rejinpaul team. Anna University those who got their Results can check their CGPA using Rejinpaul CGPA calculator. Calculator is available for Regulation 2008 Regulation 2013 & Regulation 2017. Students can check their CGPA/GPA Online and can even print immediately. Students can use below link to check their CGPA/GPA calculator. Share it to your Friends and tell them also to make use of Rejinpaul GPA/GPA Calculator. Disclaimer : We are not the official page of Anna University. We provide correct information regarding Anna University results to avoid rumours spreading regarding Anna University result date.